April 5, 2018 10:00 A.M.
Ontario is ensuring that people in Hamilton can access the care they need closer to home with historic new health care investments in mental health and addictions, home and community care, and other programs to help people support their loved ones. Dr. Helena Jaczek, Minister of Health and Long-Term Care, was joined by Ted McMeekin, MPP for Ancaster-Dundas-Flamborough-Westdale, at Indwell Community Housing's Strathearne Suites supportive housing building to talk about how the province is strengthening health care in the community. Ontario is providing support for a 57-bed mental health and addictions supportive housing program at Indwell's Parkdale Landing property, which will help residents to thrive through a team that includes housing and peer support workers, an occupational therapist and an addictions counsellor. More new mental health workers that will provide publically funded structured psychotherapy in Hamilton, with up to 350,000 more people with mild to moderate anxiety or depression being supported across the province. 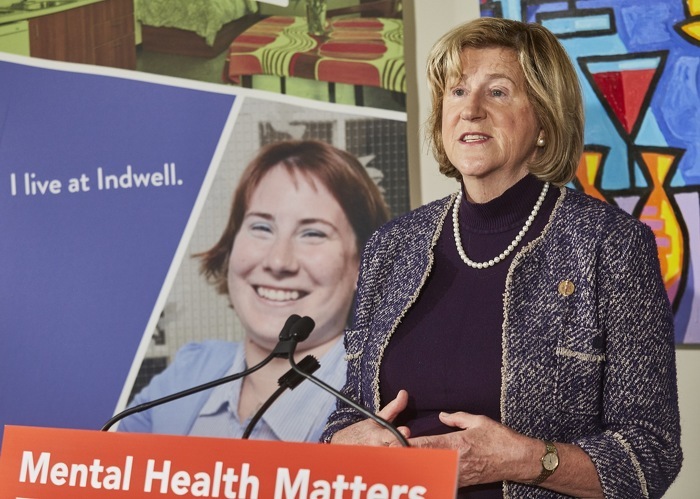 Every secondary school in Hamilton will have access to an additional mental health worker, with about 400 new positions being added across Ontario. More young people in Hamilton will be able to access community-based services such as therapy and counselling. 60 more supportive housing units in the Hamilton region since 2017, building on the over 13,000 units being created across Ontario. Access to withdrawal management and residential and community treatment services will be expanded in Hamilton, for young people and adults living with addictions. Making prescriptions free for people 65 and over through an expansion of OHIP+. Starting August 1, 2019, more than 95,000 seniors in Hamilton will no longer have to pay a deductible or co-payment for prescription medications. The province is already providing free prescriptions for everyone under 25, and with this expansion nearly one in two people in Ontario will have access to OHIP+. A new Ontario Drug and Dental program for individuals and their families who do not have coverage from an extended health plan will reimburse up to $400 per single person, $600 per couple and $700 for a family of four with two children for eligible prescription drug and dental expenses, starting Summer 2019. Reducing hospital wait times by addressing capacity issues and providing better care closer to home through the biggest investment in hospitals in almost a decade. With this funding boost, hospitals in the Hamilton area will be able to better invest in the care and supports needed by patients and the community. An estimated 238,000 more hours of personal support, 24,000 more nursing visits and 5,000 more therapy visits for people in Hamilton as part of a major new investment in home and community care across the province. Ontario is also investing up to $661,000 annually to support Indwell Community Housing’s Parkdale Landing 57-unit mental health and addictions supportive housing program. One in three people in Ontario over the age of 15 experience mental health or addictions challenges in their lifetime. The 2018 Budget includes proposed investments of $575 million per year by 2020-21 to expand OHIP+ to seniors by eliminating the annual deductible and co-payment under the Ontario Drug Benefit program; an additional $822 million in 2018-19 for hospital operating funding; and an additional $650 million over the next three years to improve home and community care services. Minister Jaczek speaking at a podium.